8 × 8 = Required Please enter the correct value. Monday, a stock market crash to the tune of a 12.22% drop hit the Merval Argentina (BCBA: IAR), the most important index of the Buenos Aires Stock Exchange. The index fell to 5,847.78 by market close on Monday – 15% from its all-time high hit just six days prior. But today, Argentina's stock market got relief. Stocks are up 1.14% after the country's lawyer said it will negotiate with a group of hedge funds that are suing over $1.33 billion in bonds. Behind the stock market crash was a decision by the U.S. Supreme Court to decline hearing an appeal by the country over a bond dispute. More than 10 years ago, Argentina defaulted on approximately $100 billion in sovereign debt. It restructured the debt and offered bondholders new debt worth around $0.30 on the dollar in 2005 and again in 2010. About 7% of the old bondholders did not agree to the deal – the "holdout" creditors. The country has been making payments on its new bonds, but hasn't done so on the old bonds since 2001. As a result, investment firms, including Olifant Fund Ltd. and billionaire Paul Singer's NML Capital Ltd., sued Argentina to make it pay on the old bonds if it was paying on the new. The lower court agreed with the holdout creditors, and years of appeals ensued. Monday's Supreme Court decision put an end to it. 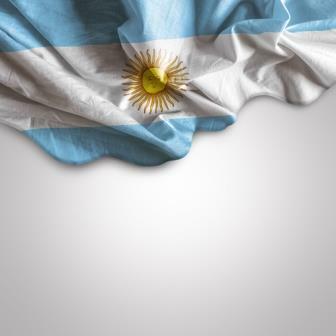 The High Court declined to hear Argentina's appeal, meaning the lower court ruling sticks, and the country is on the hook to pay the holdout creditors $1.33 billion before it may service the rest of its restructured debt. The decision meant Argentina would have to default on its debts or reach a settlement with the holdout creditors. In a 7-1 ruling, the justices also granted the creditors access to bank records tied to Argentina's assets. "America's highest court has spoken," NML Capital said in a statement. "It is time for Argentina to honor its commitments to its creditors, which would benefit both Argentina's economy and its international standing." In an address to the nation, Argentina President Cristina Fernández said that Argentina will honor all its restructured debts – but did not say how. Cristina Fernández is an Argentinian version of Sara Palin. I would not trust either of them to run a deli never mind a country.